The cream absorbs very quickly and doesn't leave any film on the skin, but it also doesn't just disappear taking hydration with it. The skin is left very moisturised and ready for make-up. I often have make-up free days at home and my skin remains hydrated throughout the day, which I really like. It is an expensive moisturiser, costing over €70 but being in my 30s, I think it is important to invest in good skincare products. It is suitable for normal and dry skin types and I think anybody from 30 upwards could use and benefit from this cream. 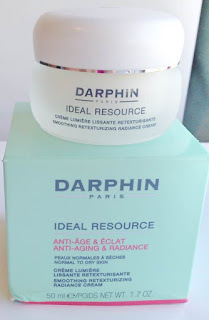 I have found two products I love with this and the matching night cream, so would love to try more products from the Darphin Ideal Resource range. I know I'll be repurchasing this again! 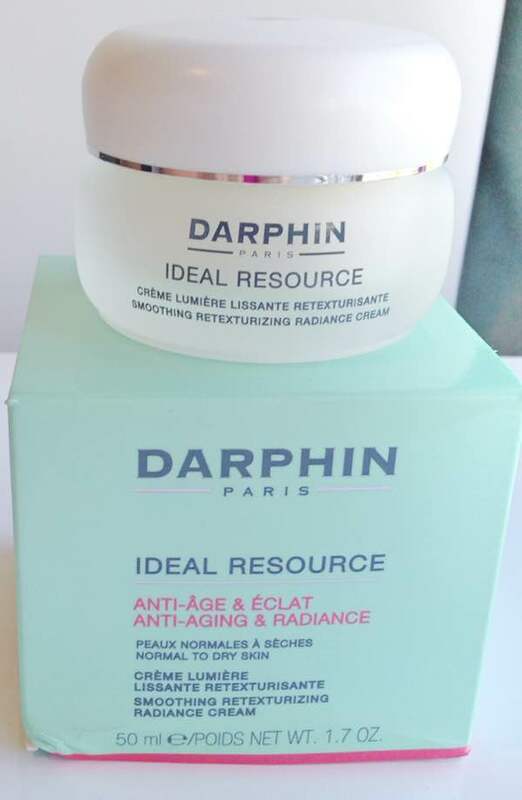 Have you tried any Darphin products? What is your current favourite day cream?